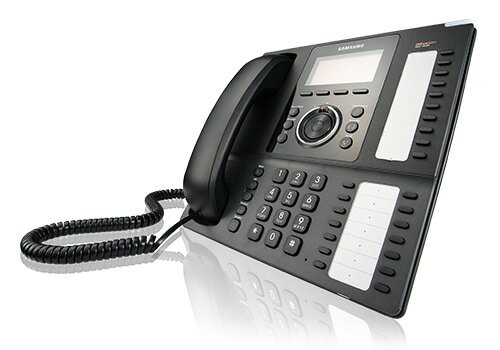 Samsung IP phones can make your business more efficient, collaborative and agile with enhancing productivity and communication among employees and off-site colleagues while helping to reduce costs. 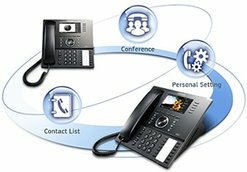 Integrated with PC, Samsung UC IP Phone Series provide perfect IP Telephony business environment with escalated multimedia UC Solutions such as presence, scheduler, UMS, and MCS. Especially SMT-i5200 series has significant competitive advantage in video solutions not to mention its award winning modern design. 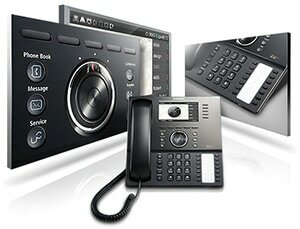 Take full advantage of IP telephony that will position your business for efficiency and success. 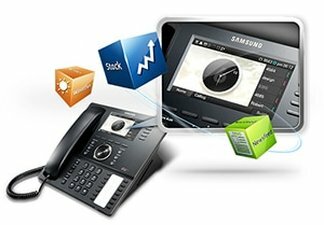 Samsung SIP Phones offer greater functionality including call handling directories, integration with a contact list and a hot deskingcapability that allows users to transfer their extension number and personal settings to any phone on the network. XML web browser gives customers and system integrators the ability to integrate the handset with business applications, customize the display with corporate logos/colors; or display multimedia content from other sources such as weather forecasts, news feeds and stock reports. Ergonomic design of Samsung SIP Phones won world-class design awards including iF Communications Design Award and Good Design Award. Every little parts of IP handsets are designed for user behavior according to Samsung's Design philosophy. 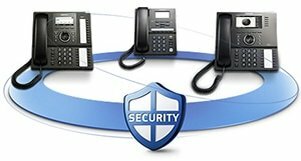 Both the 3100 and 5200 series handsets come with robust security features, SRTP(Secure Real Time Protocol) speech encryption and IP Address Security technology. 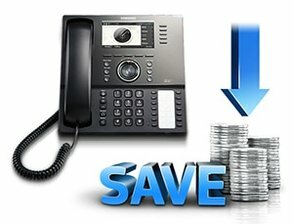 For customers using SIP Trunks to route calls at low cost over the internet, IP handsets that plug straight into the network/phone system are simpler to install than digital handsets that require a media gateway card in the PBX.